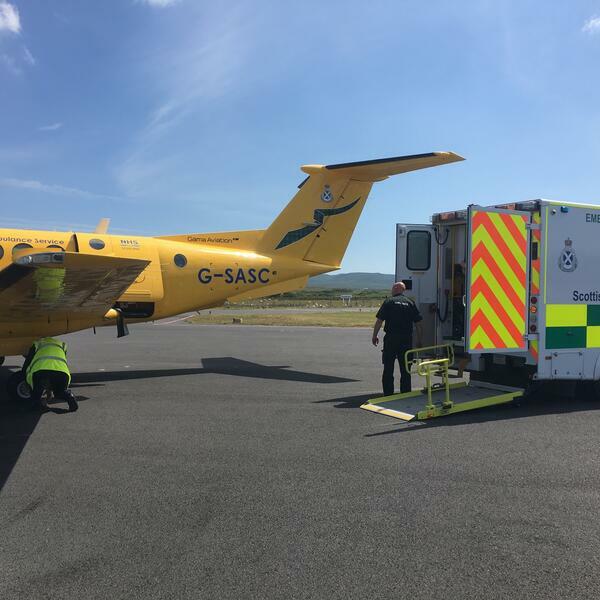 Scotland's air ambulance is now making almost 4 thousand trips a year. The service flies across the country saving lives and transporting patients from remote communities. It is the only government funded air ambulance in the whole of the UK. Heart is shining a spotlight on the fleet of two helicopters and two small planes as the NHS celebrates its 70th birthday. The air ambulance service has bases in Glasgow, Aberdeen and Inverness. The charity-run air ambulance is located in Perth. Our reporter Connor GIllies took to the skies to spend the day with the crew on board.